Last year the Fayette County Park District Board wrote letters of intent to offset the expense of the local share requirements toward grant applications. On Wednesday, the board was able to do just that and awarded the village of Jeffersonville $7,100. Pictured (L to R): David Lewis, Angie Tackett, Sue Burnside, Bob Kinzer and Dan Stahl. https://www.recordherald.com/wp-content/uploads/sites/27/2018/04/web1_20180411_123113.jpgLast year the Fayette County Park District Board wrote letters of intent to offset the expense of the local share requirements toward grant applications. On Wednesday, the board was able to do just that and awarded the village of Jeffersonville $7,100. 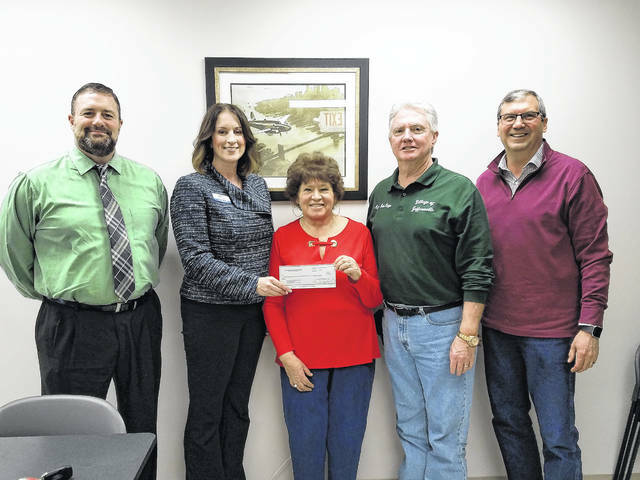 Pictured (L to R): David Lewis, Angie Tackett, Sue Burnside, Bob Kinzer and Dan Stahl.